Layla, darling won't you ease my worried mind. " This song belongs to the album "Layla and other assorted love songs" edited in 1970. In this times Clapton was with "Derek and the Dominoes". Behind this song, there was a forbidden love story. 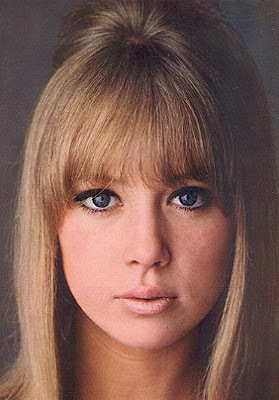 Layla was actually Patty Boyd, the wife of the Clapton's best friend George Harrison (The Beatles). Patty was an English model. She married with Harrison when she was 18 and left her work. Clapton had a very close friendship with Harrison, but fell in love with his wife. He felt that she was unhappy, and one day when he was very tormented for his feelings, Clapton confessed his love to Patty... and she refused him. After that, Clapton went into a very deep depression. Layla is the result of a tormented love. Why the name of Layla? Clapton, in those days, was reading a book by the poet Nizami. That book was about an obsessed love that a man felt for a married woman. The name of that woman in Nizami's book was Layla. I always thought Patti had an ethereal beauty that was, at the same time, childlike. She's still gorgeous in fact and has written her memoirs, "Wonderful Tonight". I figured that the name "Layla" had an Middle Eastern element to it. When I was working Istanbul in 2005-2006, my Turkish boss was named Layla. Clapton is also said to have been one of Carla Bruni's lovers.